Probably everybody knows London's Tower Bridge. Not all know there is an interesting story behind this bridge. This story begins around 1850. 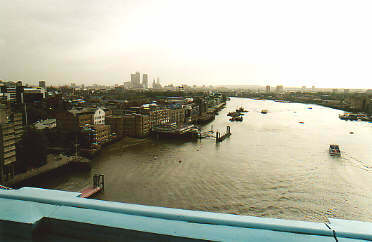 At that time, the easternmost bridge in London was London Bridge. Since there was a large part of London east of this bridge, there were horrible traffic jams (yes, traffic jams did exist in the 19th Century, they were not invented in the 20th). London definitely needed another bridge, but there were other important factors to deal with. 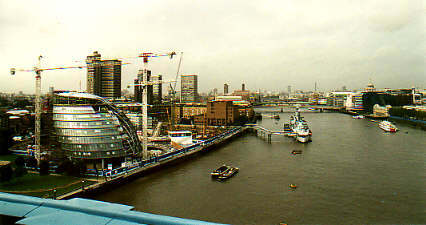 The docks of London were very important for the city's prosperity. And they were even more important for the prosperity of London's ship-owners. Needless to say, these ship-owners had a lot of power in the city council. They wanted to stay rich, and they didn't want another bridge because it would block the docks. The city council and the ship-owners argued for many years. Many bridge designs were proposed, and rejected. Finally, a special committee traveled the world to look at other country's solutions to similar problems. Of course, they ended up in the Netherlands, where we have had bascule bridges for centuries. For this was the solution: make a bridge that can open for ships and close for the road traffic. 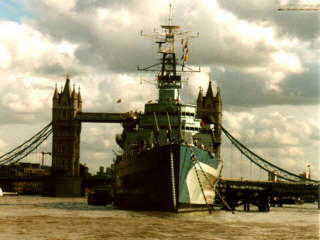 Tower Bridge, as the new bridge would be called, was special: it was then by far the largest bascule bridge ever been built in the world. Construction began in 1886, in 1894 it was finished. Today, you can visit the bridge. 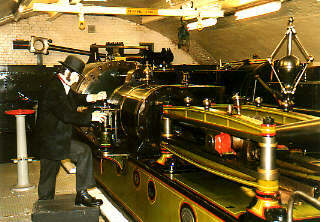 While you climb one of the towers you will be guided by Harry Stone, one of the masons that helped to build the bridge. When you've reached the top, you can enjoy some of the best views over London. Back on the ground again, the next thing to see are the engine rooms. 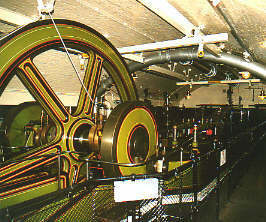 The bridge was driven by these enormous steam engines. They make it seem these engines are still used today, but we think it's powered by electricity instead. If you want to find out, visit the bridge when it opens. Then you can see for yourself. At the souvenir shop there is a timetable showing when the bridge will be opened.